StrataConnect™ is a multi-functional underground data network that provides versatile options in day-to-day and post-accident mine monitoring, tracking and communications. The wireless network is quick and easy to install and provides complete connectivity with digital voice, high-speed data, two-way texting, personnel tracking, asset tracking, gas detection, and atmospheric monitoring. Strata provides real-time tracking of personnel and mobile machinery underground. Tracking is accurate to within 200ft (60m). For personnel, the company offers a tracking tag worn on either the individual’s belt or hardhat, which features a flashing location light with broadcast alerts, and uses commercially available batteries. Another option, the tracking cap lamp, can come in either cordless or corded LED varieties, and includes a flashing LED notification light and two-way alert capabilities between the miner and the dispatch. This lamp uses lithium hydroxide rechargeable batteries. Also available is the Miner Communicator, a multi-functional device for text messaging and tracking. The apparatus allows for two-way texting with dispatch, and broadcasts alerts. The communicator uses nickel-metal hydride batteries. Strata also provides asset tracking solutions in the form of a tag permanently or magnetically mounted on to vehicles. The tag is intrinsically safe (IS) and low cost, though non-IS options are also available. The asset solution is powered by D-cell (IS) batteries or AAA-cell (non-IS) batteries. Powerful Wi-Fi technology provides digital voice communications and high-speed data access underground. Strata Wi-Fi is compatible with any standard IEEE 802.11b/g/n Wi-Fi enabled device. Utilizing the Strata / Trolex Sentro Wireless, surface operators can monitor underground environments during real-time operations. Strata also offers wireless gas and fire detection products, which monitor toxic and explosive gases during everyday operations in real-time; useful in post-accident situations and in the event of power or ventilation loss. Reports on gas concentration levels are provided at pre-set intervals over a wirless network to dispatch teams. If harmful gas levels are detected, units send alert / alarm notifications along with gas concentration levels and incident location. The Sentro wireless unit is a truly wireless, battery-powered and intrinsically safe solution that utilizes commercially available D-Cell batteries for a battery life of 35 to 45 days. A dual-wall housing provides maximum impact strength and protection against dust and moisture. The product is IP65 rated. Strata’s emergency refuge chambers and breathing air systems are constructed in many shapes and sizes, according to mine and application requirements. The Strata Fresh Air Bay (FAB) does not require power. The inflatable chamber is stored in an explosion-resistant skid until needed. Optional wheel and hitch packages, along with a low and compact structure, the skid can easily be moved along with production and relocated around the mine. Breathable air and other life-sustaining supplies are all stored in the skid, and supplies last a standard 96 hours. The Strata Emergency Refuge Chamber (ERC) is a steel sided, walk in chamber with LED lighting, padded seats, breathable air and a private lavatory. These units have optional wheel and hitch packages for easier maneuverability. The Strata Segmented Chamber (SERC) is identical in quality and functionality to the standard ERC, but is divided into equal segments for assembly underground. This unique design optimizes transportation and handling and overcomes entry shaft and/or handling restrictions at the mine site. The Strata Change-Over-Station (COS) facilitates self-escape. It is a transitional unit that provides miners a non-toxic environment in which to rest, recover and exchange SCSR units during evacuation of the mine. Strata Safe Rooms (SSR) are pre-constructed refuge rooms equipped with modular kits for breathable air systems, air-conditioning, battery back-up, storage and other essential supplies. Mining safety and communications technologies provider Strata is to attend SME 2019 in Denver, Colorado, US, between 24 and 27 February. Incorporate Strata Wi-Fi into your existing fibre-optic network to achieve powerful underground 'hotspots'. Strata A-Node access points are installed in desired locations along fibre and establish up to 6,000ft (1,800m) of Wi-Fi coverage in each direction. To extend coverage, mines can utilise the Strata B-Node Wireless Backbone to establish wireless connectivity for distances up to 4,000ft (1,200m). Strata Emergency Refuge Chambers are complete safety systems designed to provide immediate refuge and breathable air in the event that air quality in the working environment becomes compromised. They are intended to be an alternative option when escape is not possible. The Portable Fresh Air Bay is a completely powerless, inflatable refuge chamber that deploys rapidly to provide 96 hours of breathable air to miners trapped underground. High pressure compressed air cylinders inflate and fill the Bay with fresh air and compressed oxygen cylinders and a CO2 scrubber maintain breathable air inside the chamber. Strata's cordless LED cap-lamp integrates location tracking and two-way communications capabilities. The US Mine Safety and Health Administration (MSHA) has awarded Strata Worldwide’s new XP-AC battery-powered air-conditioner for emergency refuge alternatives 30 CFR Part 18 and Part 7 approval. Mining safety and communications technologies supplier Strata is set to exhibit at AIMEX 2017 in Sydney, Australia, on 29 to 31 August. Strata Worldwide is pleased to announce that its StrataConnect Tracking Tag has received Mine Safety and Health Administration (MSHA) permissible approval (No. 23-A170003-0). Strata Safety Products will be attending the SME's 2014 Annual Meeting and Exhibit on 23rd to 26th February 2014, in Salt Lake City, Utah. 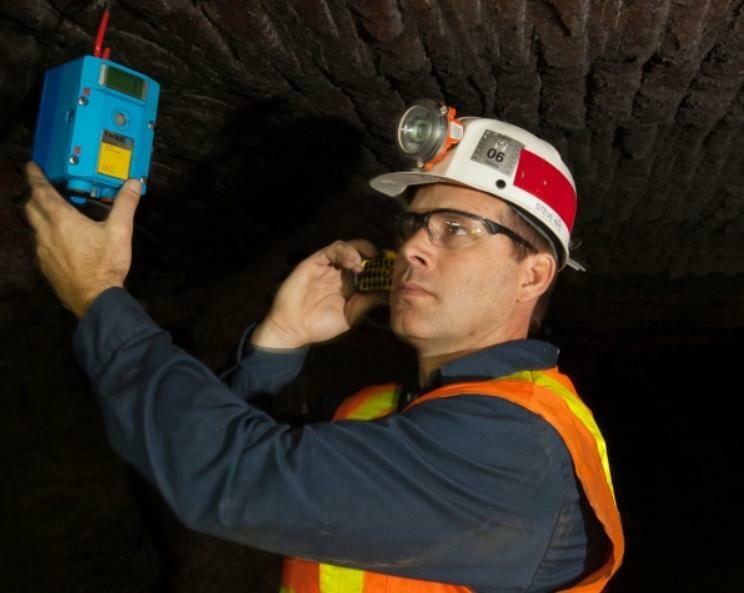 UK-based Trolex has named Strata Worldwide the exclusive US distributor of its fixed gas detectors for underground mining. Trolex is a global leader in the manufacture of gas detectors, sensors and environmental monitoring systems and has become the preferred choice in methane detectors for OEM giants, Joy and Caterpillar Continuous Miners. Strata Products Worldwide has signed an agreement with Dräger Safety to be the company's primary distributor for its mining divisions east of the Mississippi River. The Strata Worldwide Breathable Air Component used in its portable Fresh Air Bay mine refuge chamber has received US Mine Safety and Health Administration (MSHA) approval. Hansen Transmissions Industrial has extended its product portfolio of industrial gearboxes with the Hansen M-Series, a complementary range that caters for optimised application requirements that are integrated into the design phase and result in a reliable and functional gear drive solution.